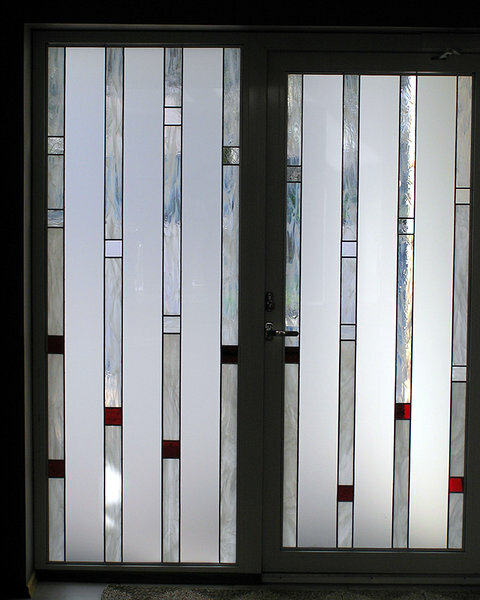 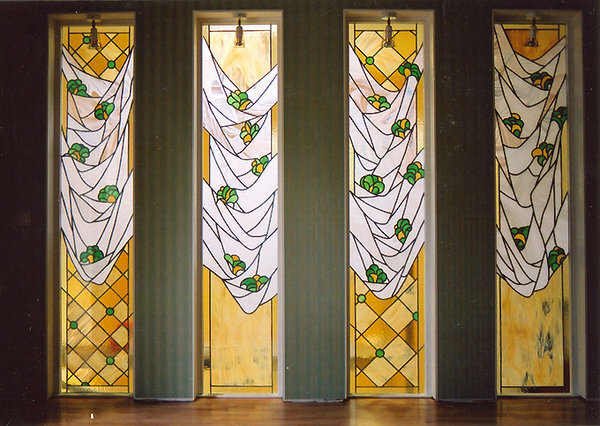 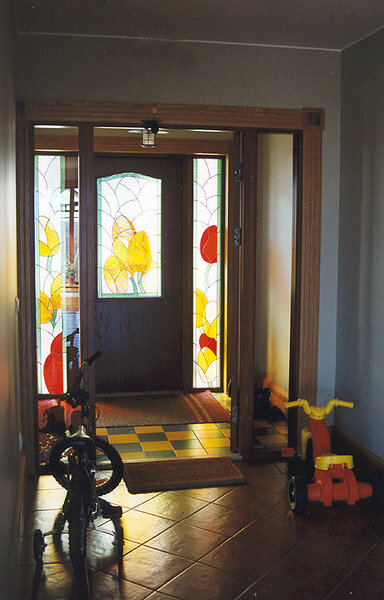 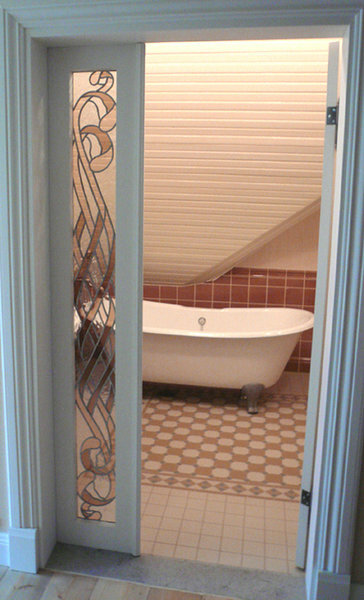 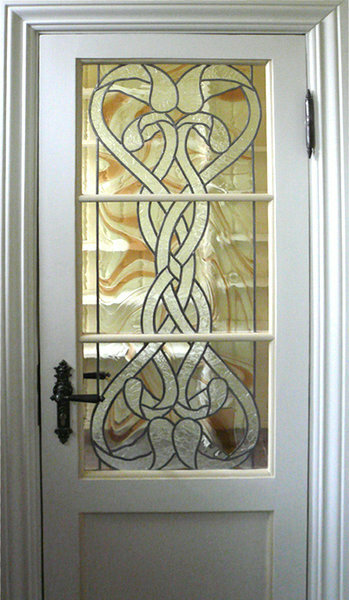 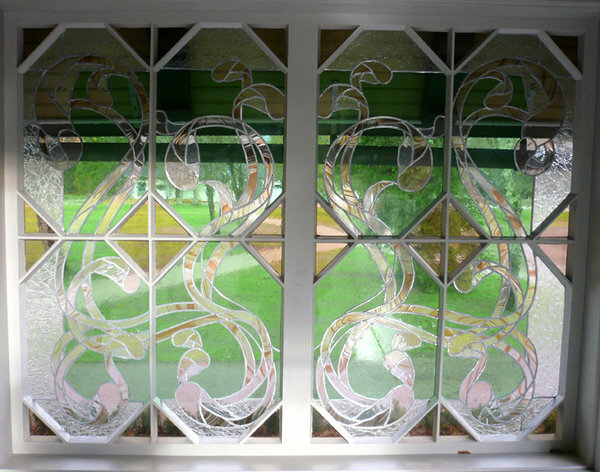 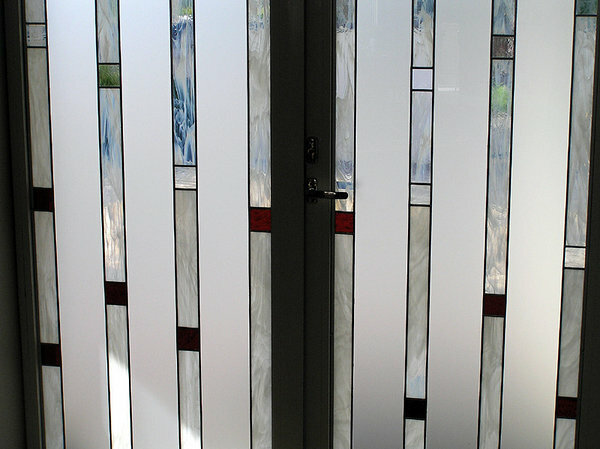 We employ the so-called classical methods – leaded glass and Tiffany technique. 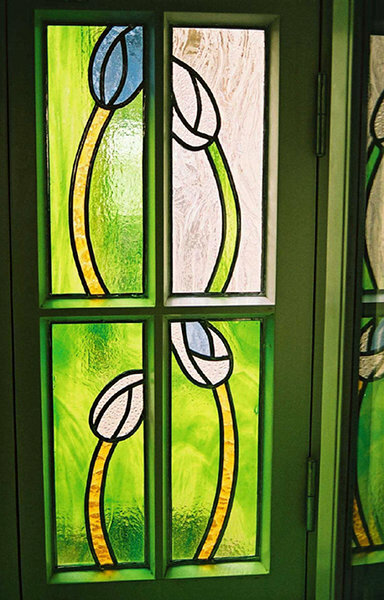 We make small pieces of stained glass to be hung in front of a window as well as windows, doors and inserted walls based on special designs. 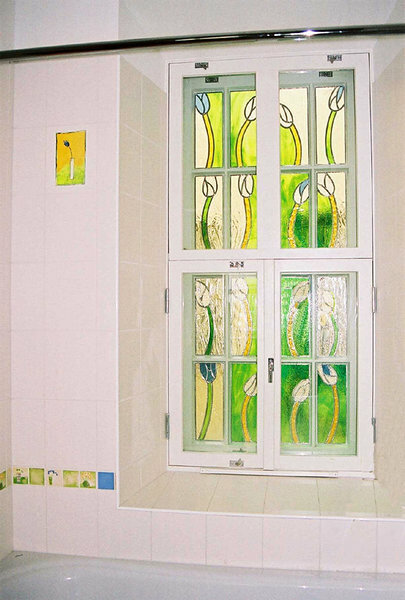 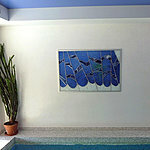 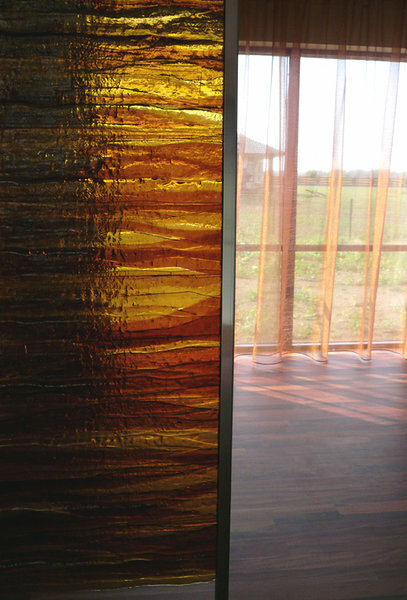 The available materials include coloured glass, fused details and panels, mirrors, sandblasted surfaces, paintings etc. 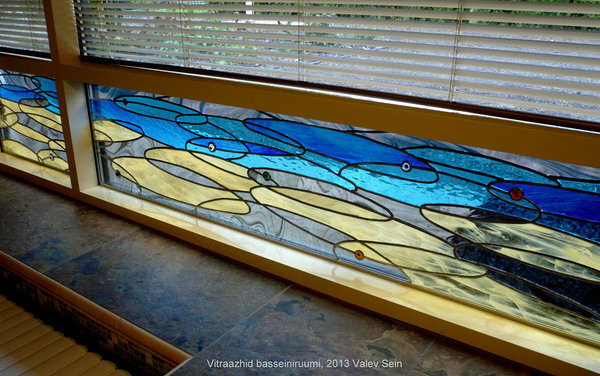 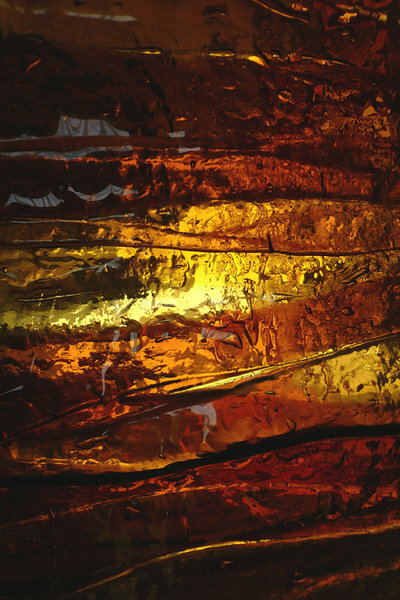 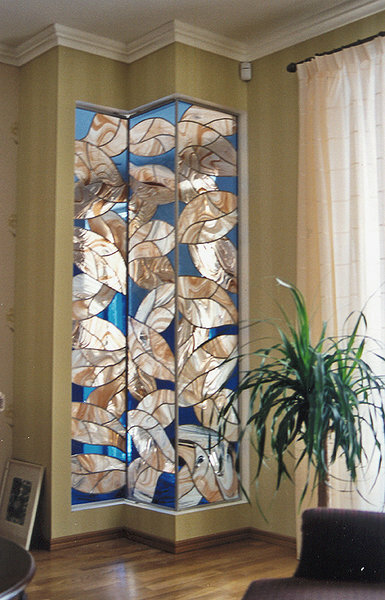 Stained glass made to order is unique – each piece of work is created in accordance with the artist’s designs and taking account of the specific aspects of spacing and lighting and the client’s needs. 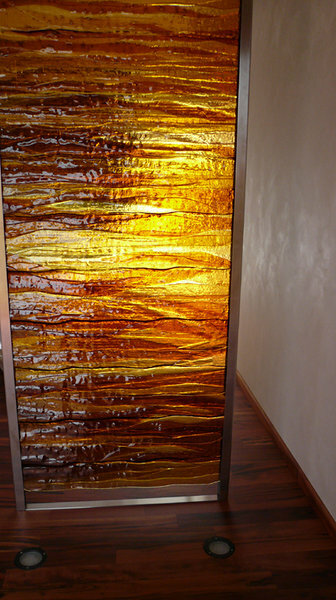 The complexity of the image, the selection of materials (glass), the paintings, elements requiring special techniques and the complexity of the installation determine the price.